WASHINGTON (AP) - President Donald Trump is serving notice he's ready to "send in the Feds" if Chicago can't reduce its homicide figures. Trump tweeted Tuesday night: "If Chicago doesn't fix the horrible 'carnage' going on, 228 shootings in 2017 with 42 killings (up 24% from 2016), I will send in the Feds!" Chicago Police Superintendent Eddie Johnson responded late Tuesday, saying: "The Chicago Police Department is more than willing to work with the federal government to build on our partnerships with DOJ (Department of Justice), FBI, DEA (Drug Enforcement Administration) and ATF (Bureau of Alcohol, Tobacco and Firearms) and boost federal prosecution rates for gun crimes in Chicago." Mayor Rahm Emanuel criticized Trump on Monday for worrying about the size of the crowd at his inauguration. 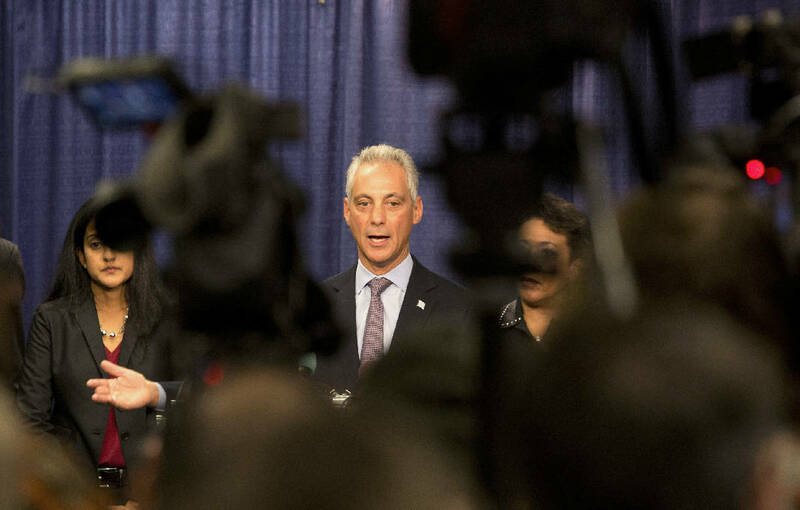 Emanuel, a longtime political ally of former President Barack Obama, also acknowledged his own frustration with Chicago's crime rate. Trump isn't offering specifics about how the federal government could help. The White House website says: "Our country needs more law enforcement, more community engagement and more effective policing."